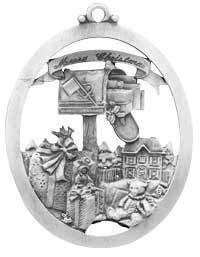 Choose a commemorative ornament to celebrate that first Christmas. 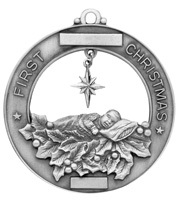 Choose the baby's first Christmas ornament for that new bundle of joy. First name and year included. 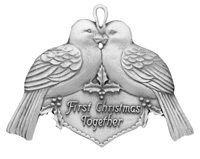 For the new family choose the First Christmas Together with the turtle doves. 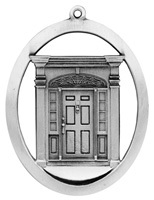 The back has space for adding engraving. 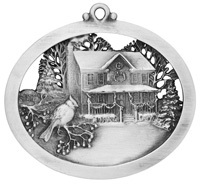 Choose one of the home ornaments to help them celebrate the first Christmas in a new or first home. Plenty of options for engraving.